One of the useful options for beginners and for those who cannot find time to create videos themselves. Instructors need not to worry about marketing and promotion of their content. Course buyers can be found easily. It provides best facilities for selling courses. You need to share some part of your profit. All the courses on Lynda are provided in video file formats as they are easier to understand and follow. Users will be able to maintain a big library of course content on this site and it is shared by learner from all corners of world. 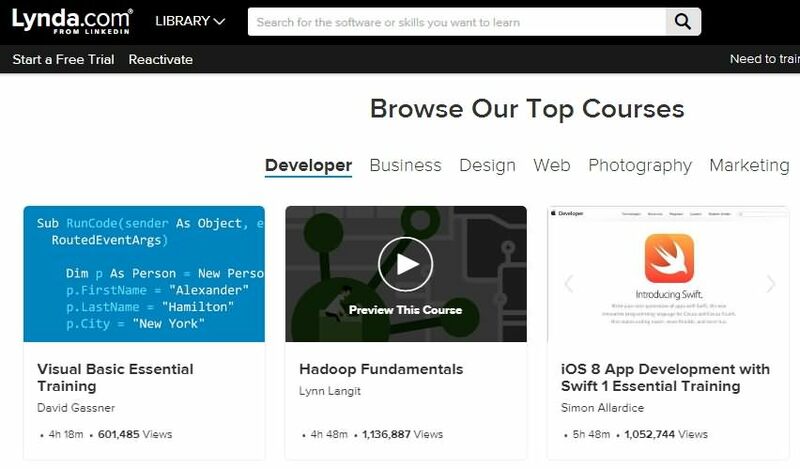 Lynda is considered as most suitable learning space for visual learners as here all course materials and framed with easy to understand manner and you can get complete assistance from well trained educators. Here you will be able to choose your course from wide variety of fields and the market place is also very wide. For monthly membership you need to pay $9.95 only and it is possible to get large student base so easily for your course material. 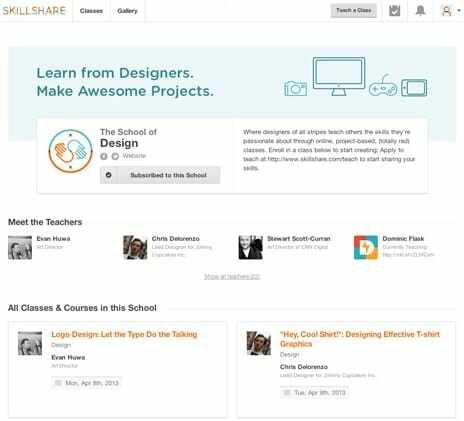 Skillshare provide courses for almost all popular career fields so you can easily get content of your choice and the trainers use to handle individual queries with complete assistance. OpenSesame helps educators and learners to sell and buy useful courses online and the material can be easily downloaded from iTune platform. Users are allowed to preview their course materials, they can check reviews and initiate search for best sellers over interactive marketplace. The advanced learning management system of OpenSesame offers lots of interactive features to users. It is rated as one of the most essential feature of interactive online learning space and educators can find best buyers for their course content on this systems. If your selection for LMS is right then it will save your lots of time. There is no need to manage the learning material manually as so many interactive tools are available. 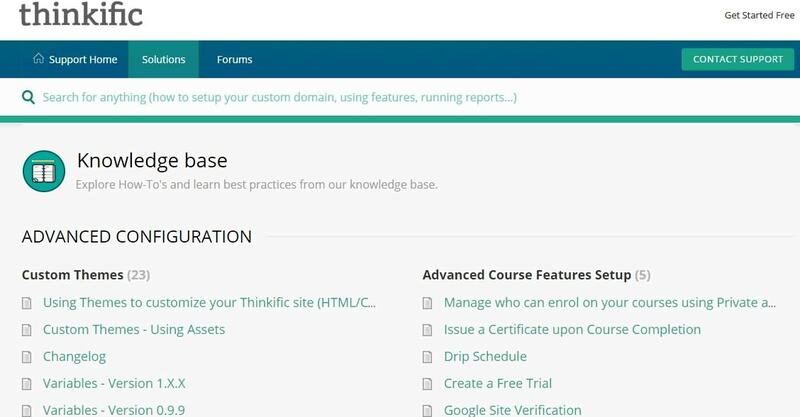 Users will have full control over their specific course contents. You will face little difficulty while making selection out of huge options available in market. It will affect your budget so one needs to make very careful investment to complete long term goals. It is not preferred by experts for selling only one course. 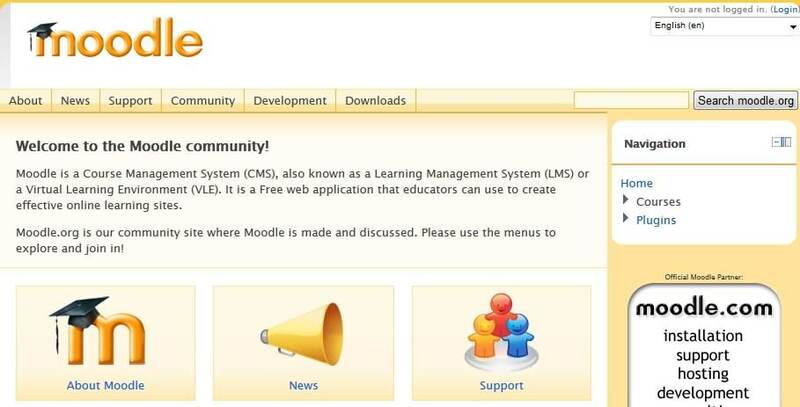 Moodle is a popular learning platform that is accessed so commonly by most of administrators, learners and educators. It is rated as one of the most secure, single robust and integrated system for teaching and learning. This network has proven its abilities worldwide and most of professionals love to trust its content. Moddle is working at global level and is extremely easy to use with all language accesses. You need not to pay any licensing fee to access this platform. Here is a complete and well oriented solution for all your eLearning needs. It is one of the top rated business training programs and use to serve best facilities for course selling. Users can easily specify their future projects and there are so many online tools available to present your ideas in best possible manner. It is good to access its free trial version for 30 days to get idea about content and procedures. Learners can also avail demo classes before joining the main courses. It helps in overall growth of instructors with complete assistance in course creation procedures and selling content to best buyers. Presently more than 6000 companies as well as individuals are taking benefits from these online course materials. Here is one more advanced solution for your online eLearning needs where instructors can earn maximum profits. It is much easier to create course content using CMS. It demands more knowledge and time for generation of useful content. You have to spend time for marketing and promotion. Wordpress offers you full control over content and allows instructors to create content the way they wish to. It is available for free and offers best services at the same time to all educators. Some of the powerful features of Wordpress are: customized designs, SEO friendly, high performance, highly secure and mobile friendly services. This site use to extend its plugins up to the count of 45000 so you can easily meet all your requirements. There is no doubt to say that Joomla offers some of the best services for content creation and selling. This site has won so many awards for its amazing CMS platform and is well known for its incredible features like: ease of use, interactive platform and perfect management. The best thing to know is that Joomla is an open source type solution for users that can be accessed for free. 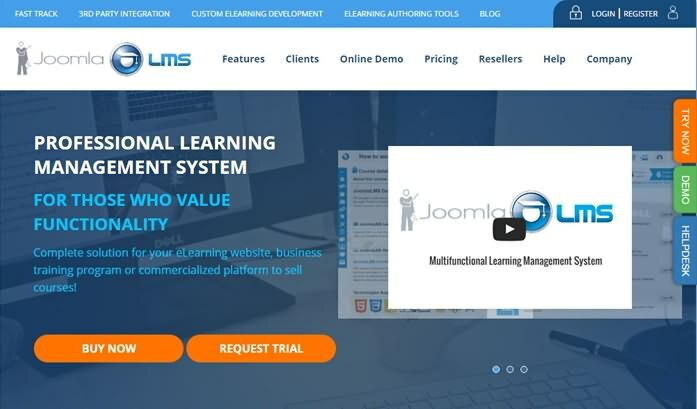 At Joomla, you will be able to access one local-public library that contains huge variety of books and the content is preferably kept in document, video, music, photo and text form so that it can appear easy to understand for learners. Here is a useful open source platform for all educators and learners that help to manage, launch and scale digital experiences with awesome results. You will have huge flexibility to create interactive content and it can be shared with learners from every corner of world so easily. 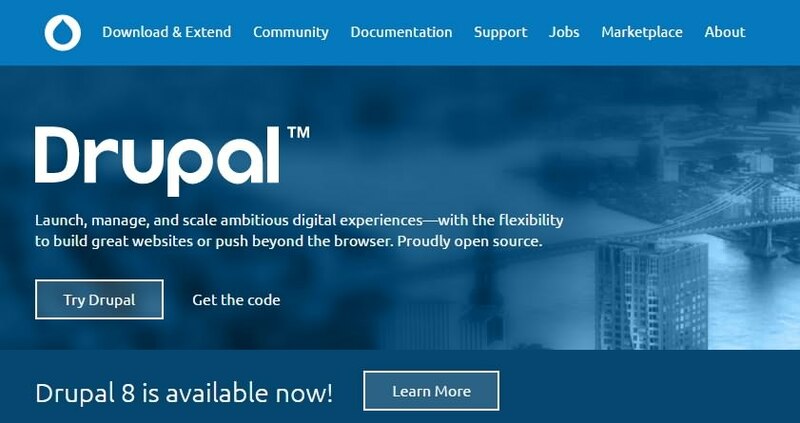 Currently more than 105,667 active users are a part of Drupal online learning platform and they are able to get content of their choices so easily.